We love the look and feel of this beautiful kitchen, complete with granite countertops, custom cabinetry and a few stainless steel appliances. 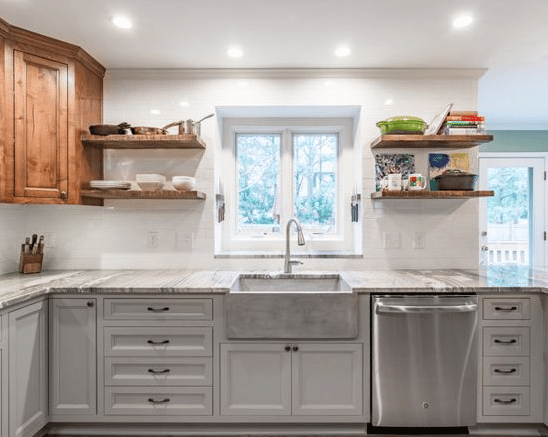 Remodeled with functionality in mind, this kitchen allows for plenty of natural light with walls of windows and plenty of counter space for storage and cooking preparation. 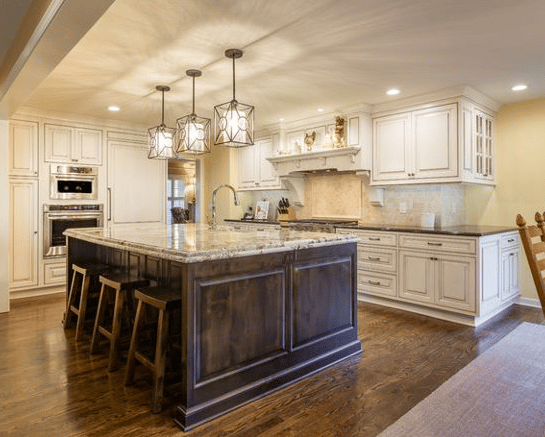 This kitchen remodel has ample lighting and a great island for easy dining and cooking preparation. 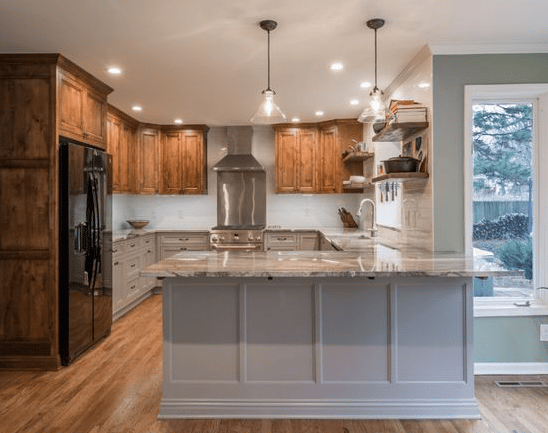 The traditional white cabinetry allows other details in the kitchen to pop, including the lighting fixtures, dark brown wood in the island and tile above the stove. This remodel also showcases a refrigerator designed to match the custom cabinets for a beautiful finish in the kitchen. This bathroom was remodeled to improve ease of living at home while maintaining a very modern and trendy gray and white theme. 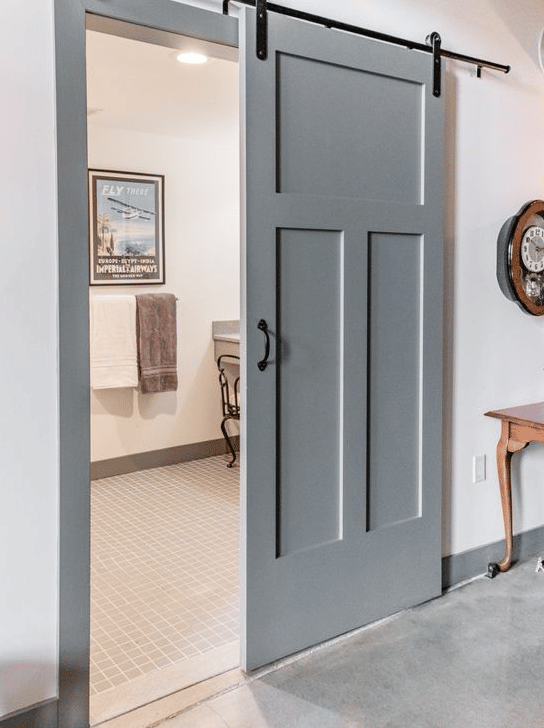 Complete with a barrier-free shower, flip-down shower seat, raised toilet, grab bars and more, this bathroom has everything you need to maximize safety at home. Interested in updating your home in 2018 to model any of these projects? 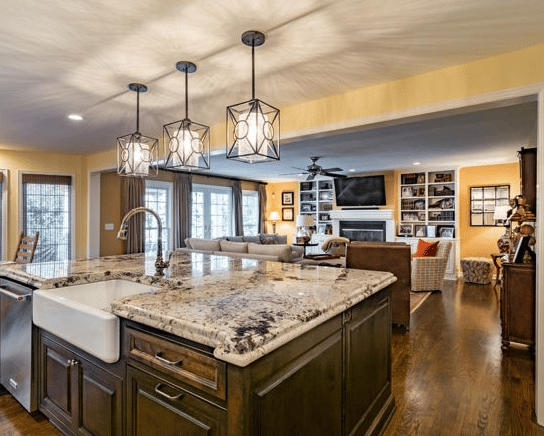 Looking to remodel your home with the latest trends? Follow Wineteer Construction on Houzz and add the projects you like to your ideabooks. Then, schedule a free consultation with our team to discuss your remodeling ideas.